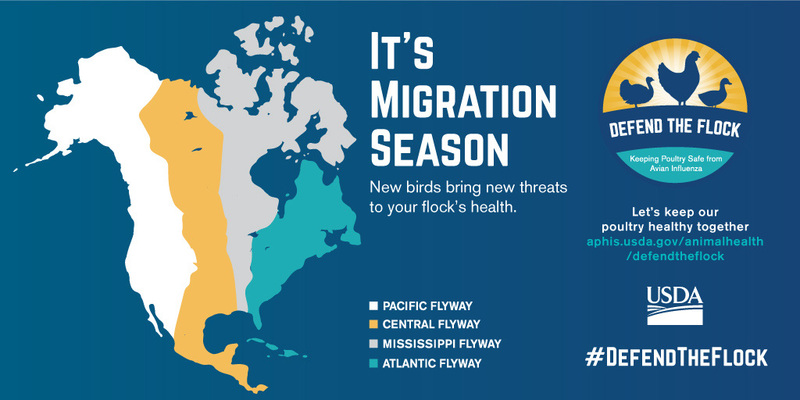 Don’t let continued warm weather fool you…migration season is underway. 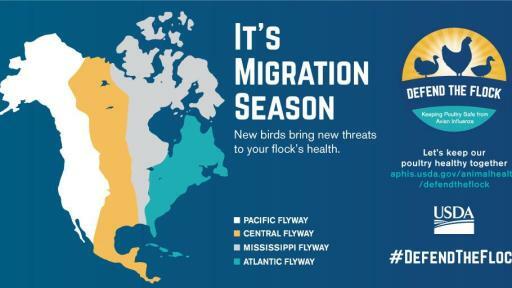 And with migrating wild birds comes the increased threat of disease for domestic chickens, turkeys, ducks and geese. 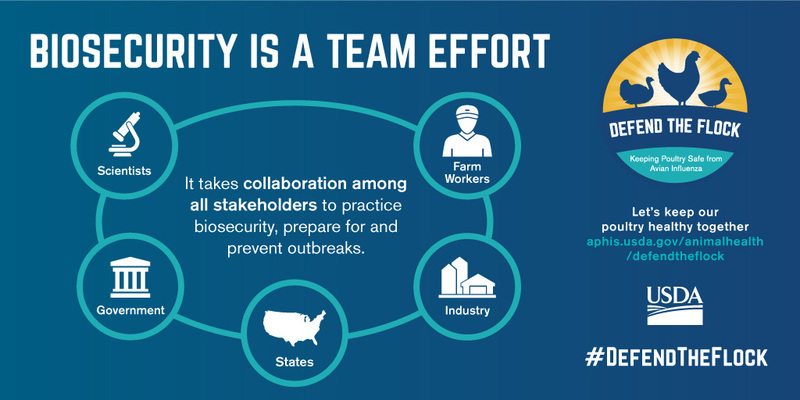 The U.S. Department of Agriculture Animal and Plant Health Inspection Service (APHIS) is reminding you that now is the time to double down on biosecurity measures to protect your flock. 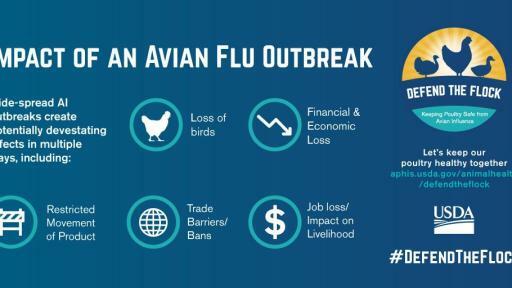 While the migration conditions may be abnormal in some areas, birds, particularly waterfowl such as ducks and geese, can still carry diseases such as Avian Influenza (AI), which spreads quickly by direct bird-to-bird contact. 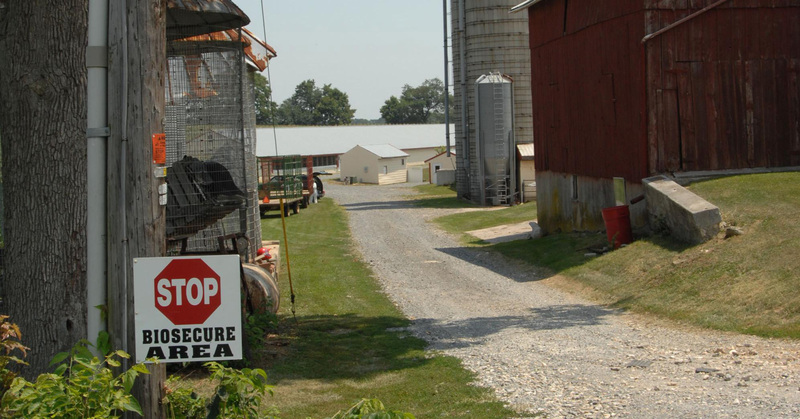 Strong biosecurity practices, no matter your location, can help stop infectious disease before it can spread to domestic birds. 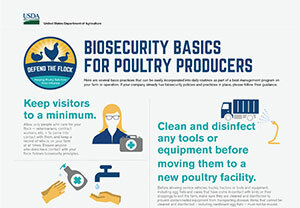 Keep Visitors to a Minimum: Limit who and what goes in and out of your chicken coop and be mindful of anything that could bring in damaging disease. 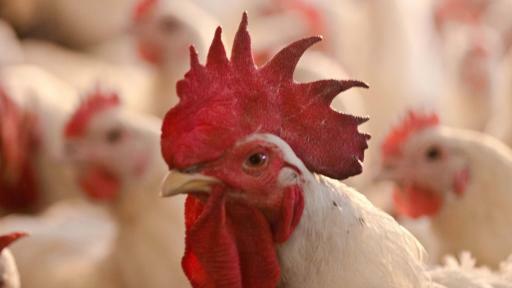 Keep record of who is on the farm or in the coop. 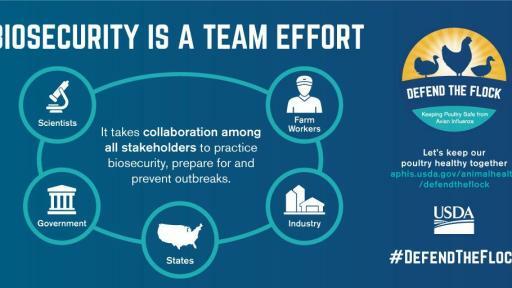 Wash Hands and Change Clothes: In addition to potentially spreading disease from farm to farm or bird to bird, you can also spread germs such as Salmonella that can impact human health. 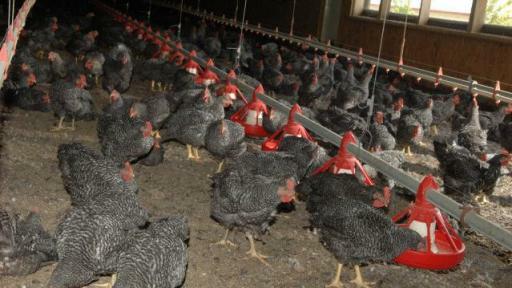 So, make sure to wash your hands before and after working with birds. Also, wear proper protective clothing. 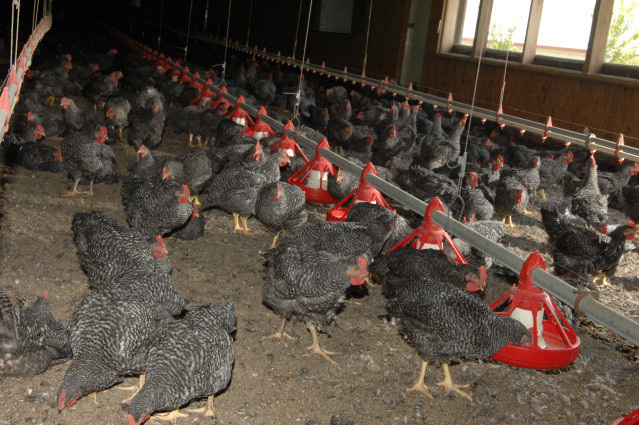 Clean and Disinfect Tools and Equipment: Anything that comes into the farm or coop needs to be properly cleaned and disinfected. 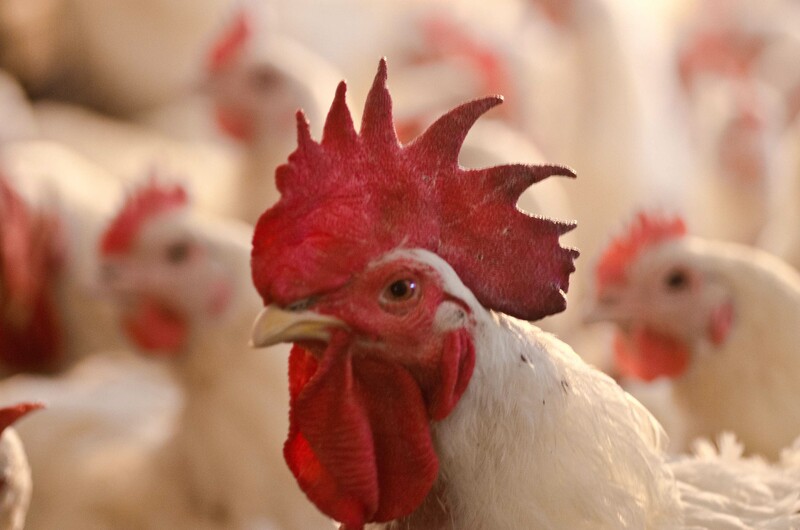 Before allowing vehicles, tools or equipment (including egg flats and bird cases) to leave the farm, make sure they are cleaned and disinfected so as to not transport potential disease. 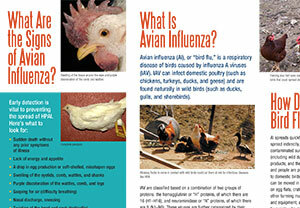 Keep a Close Eye on Your Birds: Sick poultry show many of the same signs that sick people do, chiefly lethargy. 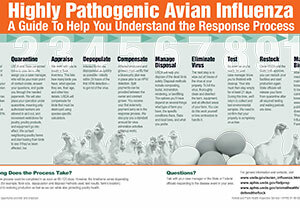 Early detection of avian flu or other infectious disease helps keep a small problem from becoming a significant crisis. 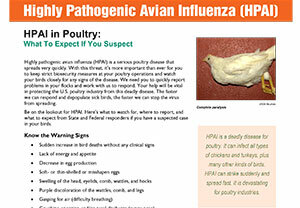 Communicate Early and Often: Communicate with USDA-APHIS or your state animal health officials if you have questions or concerns about the health of your birds. 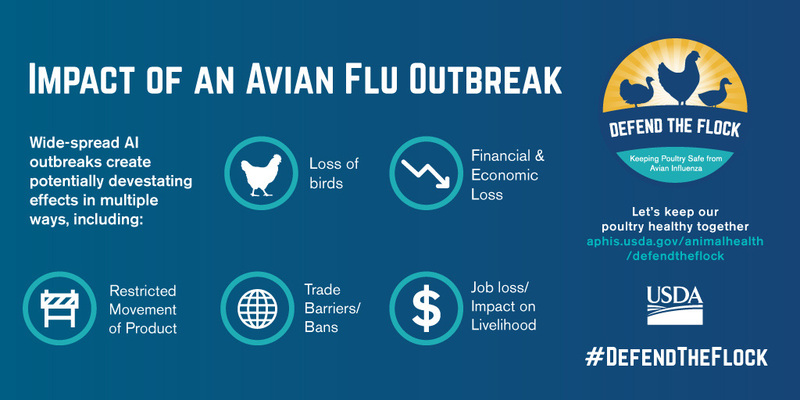 The Highly Pathogenic Avian Influenza (HPAI) outbreak in 2014-15 and its impact on animal health, helped everyone recognize the importance of being vigilant about biosecurity. 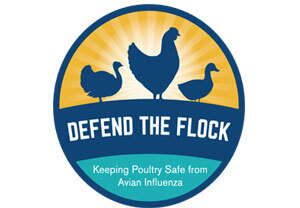 For more resources to learn about and apply best biosecurity practices, visit Defend the Flock.